The Wee County defied the first-half dismissal of Andy McDonnell to overcome the home side in Bray. LOUTH WERE TOO strong for Wicklow in today’s O’Byrne Cup encounter, running out 1-17 to 1-9 winners in Bray. A superb goal from John Clutterbuck got Louth off to a good start, and they took a two-point lead in at the interval despite being reduced to 14 men when Andy McDonnell was sent off in the 13th minute. Gearoid Murphy’s goal kept Wicklow within touching distance at half-time, as they trailed by 1-8 to 1-6. However, the visitors pulled away in the second half. In today’s other O’Byrne Cup fixture, Westmeath and Offaly played out a draw at 0-11 each at St Loman’s in Mullingar. Westmeath, who were two points behind at the break, snatched a share of the spoils in added time when Paddy Fagan scored his fourth point of the afternoon. Email “Fagan rescues Westmeath against Offaly while 14-man Louth see off Wicklow”. 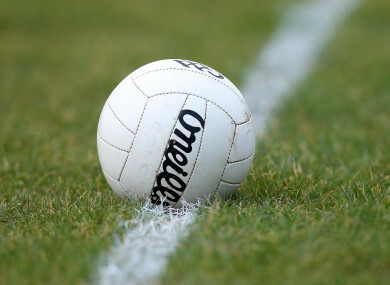 Feedback on “Fagan rescues Westmeath against Offaly while 14-man Louth see off Wicklow”.